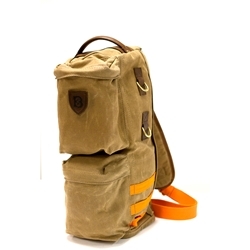 The Bug Out Bag is our most direct crossover design from the tactical world. While it has many uses, the bag is most notably used to store items so you’re prepared for any situation. EDC, first aid, utility and other useful items can be organized and stored in the many different compartments. Complete with full grain, genuine leather and 14oz waxed canvas to match our Sovereign line. The cross body padded strap makes it easy to grab-and-go.